Five decades is a long time! As we celebrate the productive history of Catechist magazine, we do so with sincere gratitude for the many pastoral, practical, theological and, of course, catechetical contributions that have graced its thousands of pages during the past half-century: a “catechetical gold mine.” This magazine’s golden anniversary coincides with that of many catechists and catechetical leaders, including my own. A groundswell of factors contributed to catechetical renewal within the Church both before and after the Second Vatican Council (1962-1965). These factors included six international study weeks that brought together leading voices of catechetical insight from around the world between 1959 and 1968. These events (in Europe, Asia, Africa, and South America) formed a type of bridge “to and from” the Council. The Gospel is for the world! Biblical renewal, already going on prior to the Council, became an opportunity to embrace the Word of God and learn to apply biblical teaching to our lives. The significant liturgical reform called for by the Council fostered a renewed experience and understanding of liturgy and the sacramental life of the Church, which still continues. 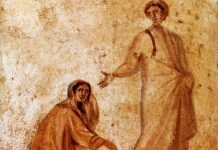 The restoration of the catechumenate, in the wake of Vatican II, brought with it new possibilities for ministry within the Church by way of accompanying people as they responded to the call of the Spirit in their lives. For example, catechumenal leaders, sponsors, godparents, catechists, and others — along with parish communities — took on the honorable task of guiding the formation in faith of those coming to Christ through the welcoming arms of the Church. The combination of “message, community, worship, and service” offered a template for renewing faith and bolstering confidence in becoming disciples of Christ. Parishioners were encouraged to come forward and participate together in new ways in parish life. For many the “doorway” was the ministry of catechesis. Indeed, significant lay involvement in catechetical ministry and leadership over the past 50 years reflects the teaching on the laity from the Second Vatican Council. The past decades have seen many laypeople take on the noble task of serving as catechists while living more prayerfully as vital members of the Church. Indeed, our relationships with one another reflect our being one in community before God. 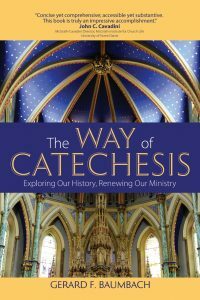 Read on for an excerpt from my recent book, The Way of Catechesis. The selection treats past decades through the lens of important documents that continue to impact the Church’s catechetical agenda. 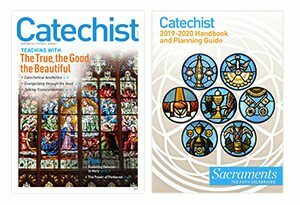 Council documents and other resources of the Church give shape to and support the Church’s ongoing catechetical efforts. One could argue that every Council document has essential catechetical implications that guide the steady development of diocesan and parish catechetical leaders. The Council’s four constitutions (On the Sacred Liturgy, On the Church, On Divine Revelation, and On the Church in the Modern World) provide theologically rich and persuasive foundations for believing, teaching, and living the Christian proposal, not just individually but collectively. For example, Sacrosanctum Concilium (Constitution on the Sacred Liturgy), the first promulgated constitution, continues to help set the tone for probing the understanding of worship and the dynamic experience of faith and birth into discipleship. Its oft-quoted statement, “The liturgy is the summit toward which the activity of the Church is directed; it is also the fount from which all her power flows” (SCo, 10), informs and shapes the Christian life before, during, and after the liturgical experience; this is distinctive for the gathering of the baptized. Nearly three decades after the Council, the Catechism of the Catholic Church would cite that just-quoted statement and then affirm that the liturgy “is therefore the privileged place for catechizing the People of God” (CCC, 1074). After the Council, liturgy entered more deliberately into existing catechetical settings and catechesis identified more deliberately its sharing in the journey to the altar. However, this is not a mutually exclusive relation, for liturgy and catechesis lead to merciful discipleship. We are wise to view catechesis through a catechumenal lens. The conciliar document Christus Dominus (CD) (Decree on the Pastoral Office of Bishops in the Church) set a lasting tone that has impacted the way in which catechesis is understood for all. It prescribes, for example, that [bishops] “should take steps to reestablish or to modernize the adult catechumenate” (CD, 14). … It remains an opportunity for enacting the Church’s catechetical mission and reinvigorating commu­nal foundations as people come to Christ. The Rite of Christian Initiation of Adults (RCIA) is a recurring host for the commingling of liturgy and catechesis. Applying a catechumenal mentality includes inviting the entire parish to confirm its role as catechist. This is more than a theoretical wish; it is a natural expression of communal responsibility, motivating the baptized toward lived faith and mutual care. The belonging arms of the Church are wide. “God’s love for us is fundamental for our lives” (Deus Caritas Est, 2), Pope emeritus Benedict XVI reminds us in his first encyclical. I would suggest that Gaudium et Spes (On the Church in the Modern World) helps to guide the Church forward with particular urgency. It was promulgated on the day before the Council closed (the Feast of the Immaculate Conception, December 8, 1965). When Pope Francis declared the Jubilee Year of Mercy on Decem­ber 8, 2015, it was the fiftieth anniversary of the close of the Council. The weakened human condition demands merciful attention, especially in light of present-day challenges of survival and displacement. Communal witness to faith is confronted by sectarianism, secularism, consumerism, and unrestrained individualism. Stories of martyrs, told to me as a child in safety, are not limited to centuries past; accounts of Christians and oth­ers dying at the hands of terrorists abound. Struggles within the Church reaffirm the need for repentance, sustained healing, and renewed witness to the Word of God. This necessarily includes self-examination of one’s own life of faith within the Christian community. A look in the mirror may confirm for us that the mercy giver is first a mercy seeker. The document Christus Dominus called for the development of “a directory for the catechetical instruction of the Christian people’’ (CD, 44). Enhanced efforts for developing “a living, explicit and active faith, enlightened by doctrine” (CD, 14) would begin to shape even more directly the ministry of catechesis. The General Catechetical Directory (GCD) and the Rite of Christian Initiation of Adults, issued within a year of each other (1971, 1972), became groundbreaking, seminal texts for an emerging catechesis formed in light of the Council. Relying on pastoral theology as a foundation, the GCD iden­tifies several aspects of the Church’s ministry of the Word, including evan­gelization and catechetical, liturgical, and theological forms. These are neat distinctions, but the GCD realistically states that “in the concrete reality of the pastoral ministry; they are closely bound together” (GCD, 17). In 1985, about six years after Catechesi Tradendae, a proposal was made for a catechism for the entire Church. The setting was the synod that focused on the twentieth anniversary of the closing of the Second Vatican Coun­cil. The Catechism of the Catholic Church would become the first officially declared worldwide catechism since the sixteenth-century Roman Catechism. Catechesis continues to benefit from established and growing reliance on this important resource. As a significant reference sourcebook, it serves the pedagogy of faith with its systematic presentation of the profession of faith, liturgy and sacraments, living the Christian moral life, and prayer. Published a few months after its 1997 approval by the Holy Father, the General Directory for Catechesis (GDC) came after more than three decades of post-conciliar history. When the GDC was published, the Catechism was already in use worldwide, making a dramatic impact on people, prod­ucts, and catechetical perspectives. It identifies the Catechism as “the doctrinal point of reference for all catechesis” (GDC, 93). While acknowl­edging the “generous dedication, worthy initiatives and . . . positive results for the education and growth in the faith of children, young people and adults” since the end of the council, the GDC also asserts the reality of “crises, doctrinal inadequacies, influences from the evolution of global culture and ecclesial questions derived from outside the field of catechesis which have often impoverished its quality” (GDC, 2). Among its many topical areas, the GDC addresses the connection between evangelization and catechesis, promotes the inspiring place of the baptismal catechu­menate for catechesis, describes contributing elements to the pedagogy of the faith, and promotes six tasks of catechesis. The term six tasks is part of the woodwork of catechesis; mere mention of the term evokes the breadth of this ministry. Daniel Mulhall writes that the National Directory for Catechesis (NDC), [published by the USCCB], which replaced Sharing the Light of Faith (SLF) in 2005, “covers most of the themes pre­sented in SLF, but addresses them from the perspective of evangelization and in greater depth.” With its established linkage to evangelization, the NDC provides an underlying, unifying framework in support of “proclaiming Christ, preaching Christ, bearing witness to Christ, teaching Christ, and celebrating Christ’s sacraments” (NDC, 17C; EN, 17). As we can see, these documents help to direct, guide, and shape catechesis. 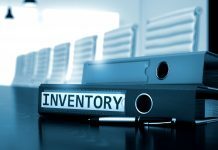 Such sources provide common entry points for understanding. The New Evangelization, bolstered by effective and ongoing cat­echesis, offers a gateway for exploring and enacting a diversity of approaches for proclaiming and teaching the faith. We engage the past in helping to inform and shape catechesis for now and for the future. A wealth of documents since the Council continues to influence this necessarily vig­orous effort, one framed in part by the six tasks of catechesis and for which clarity of teaching remains a priority. That is essential to our work. The broad sweep of pasto­ral needs demands heightened attention to the implementation of the Church’s evangelizing mandate. Well-formed — and well-informed — catechists are essential, especially as people respond to the Spirit’s call to consider anew their relationship with Christ and, for some, explore a return to the Church. Catechesis is an essential work of the Church, and catechists are essential to its growth. What has catechesis taught me during the past half-century? “Yet I live, no longer I, but Christ lives in me” (Galatians 2:20). Faith and works come together through daily discipleship and our catechetical commitment. The Church, carrying forward foundations in faith across generations, continues to be enlivened by the renewal and reengagement that have occupied the last 50 years. And how fortunate we are to have had Catechist magazine helping to enlighten us along the way. May our faith be enriched and may we be sustained by the love of Christ as we continue to live as his disciples along the way of faith.